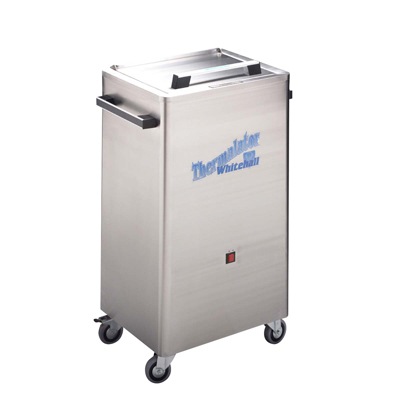 These units provide for comfortable and effective moist heat therapy, promoting both easy cleaning and safety. 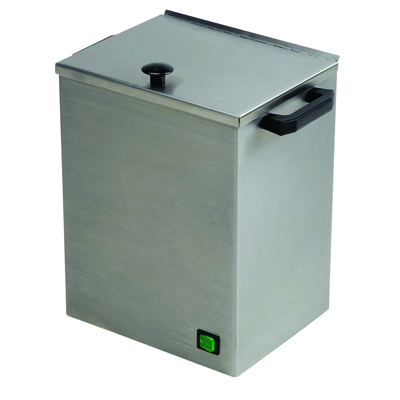 The tank body, lid, bottom and tank housing are all made from type 304 stainless steel for years of trouble-free use. Inside the unit is a heating element and temperature sensor. 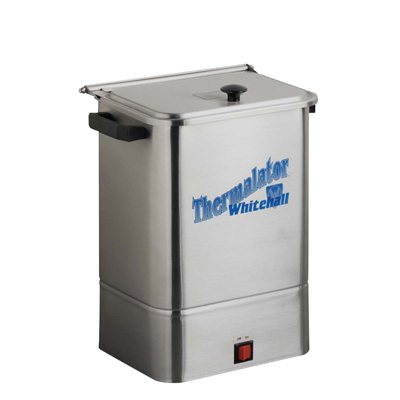 Dimensions: 8.875" x 13.75" x 13.25"
Whitehall Thermalator® units maintain a constant water temperature for comfortable effective therapy. Unit is fabricated from heavy gauge, type 304, stainless steel polished to a satin finish. Cover has a continuous hinge pin and a built in stop that will keep it in the upright position when open. Interior Wire Rack is vinyl coated stainless steel and will hold Thermal Packs in the upright position. Heating Unit has a built-in adjustable thermostat to 165°F, and is UL listed. On/off switch has a built-in light to indicate that the unit is on. 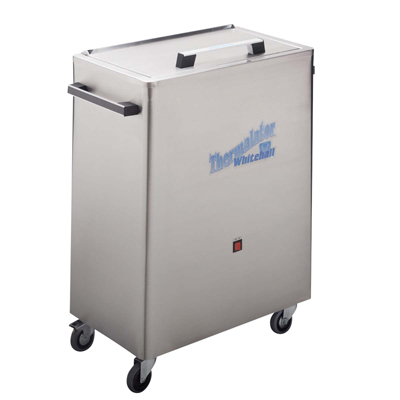 Thermalator® unit is furnished complete with rack and a collection of Thermal Packs. 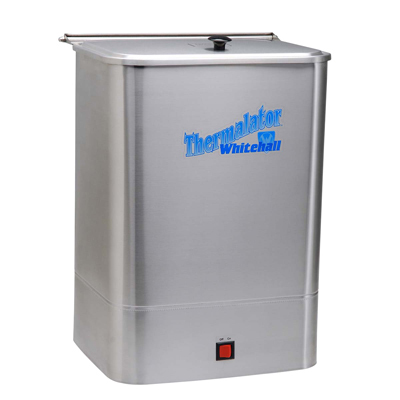 Dimensions: 15" x 21" x 12"
Dimensions: 15.5" x 18.5" x 17.5"
Dimensions: 24" x 32" x 26"
Whitehall Thermalator® 220V units maintain a constant water temperature for comfortable effective therapy. Unit is fabricated from heavy gauge, type 304, stainless steel polished to a satin finish. Cover has a continuous hinge pin and a built in stop that will keep it in the upright position when open. Interior Wire Rack is vinyl coated stainless steel and will hold Thermal Packs in the upright position. Heating Unit has a built-in adjustable thermostat to 165°F, and is UL listed. On/off switch has a built-in light to indicate that the unit is on. 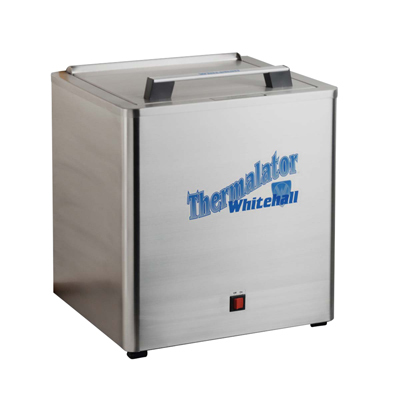 Thermalator® unit is furnished complete with rack and a collection of Thermal Packs.